Fisheries officers Laura Bullock and Sam Chapman from the Environment Agency carried out a sample netting of Taskers today to see how the Crucians and Tench were doing. 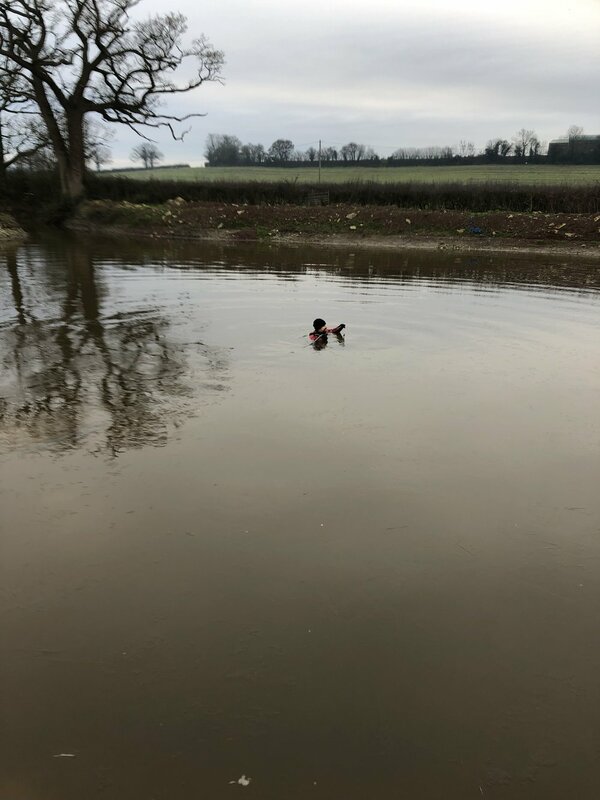 Water levels have returned to near normal and Sam struggled to cross the pond with the depth at 5 foot plus in places. After two fruitless passes their persistence paid off with a third run behind the islands and around 20 golden fry proving that the Crucians bred last summer. 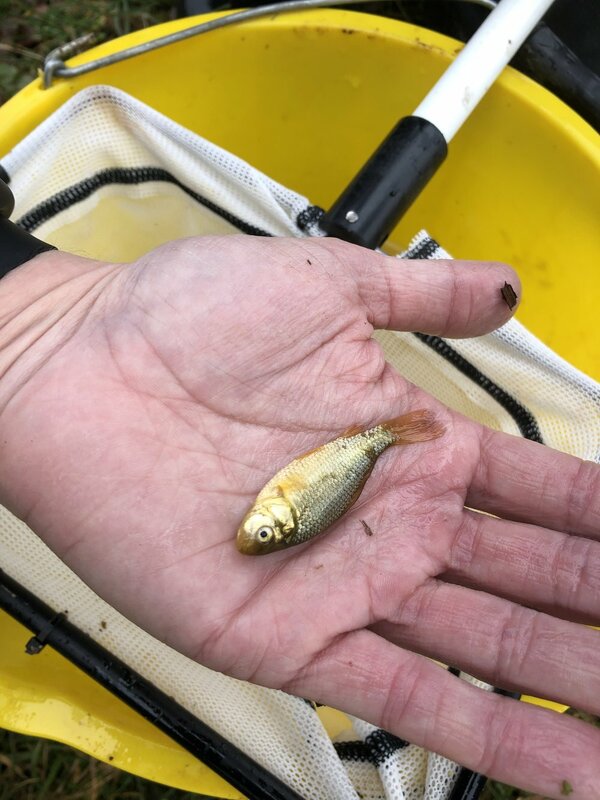 Nearly 20,000 Dace, Roach and Chub were stocked into the Leadon last week at sites including Durbridge Mill and Upleadon. The recovery continues. Our new Crucian Carp and Tench fishery is now being promoted to boost membership. Fish Legal to sue Environment Agency over Leadon Pollution delays? Mark Lloyd, CEO of The Angling Trust talks to the BBC Radio 4 Farming Today programme about the Leadon Pollution prosecution and the lack of progress by the Environment Agency. Yesterday, the 27th February 2017 the Environment Agency continued the post pollution restocking programme on our waters and this time the focus was on Brown Trout. Encouraging signs of life on the Leadon at Lassington as 7 members take up the challenge of an informal roving match. Barely a week after our restocking, our waters have suffered another pollution event but this time described by the Environment Agency as of "National significance"
Restocking 2016 with a great batch of clunkers! 6 members made light work of the waste wood at Cutt Mill in preparation for installing more bundles.